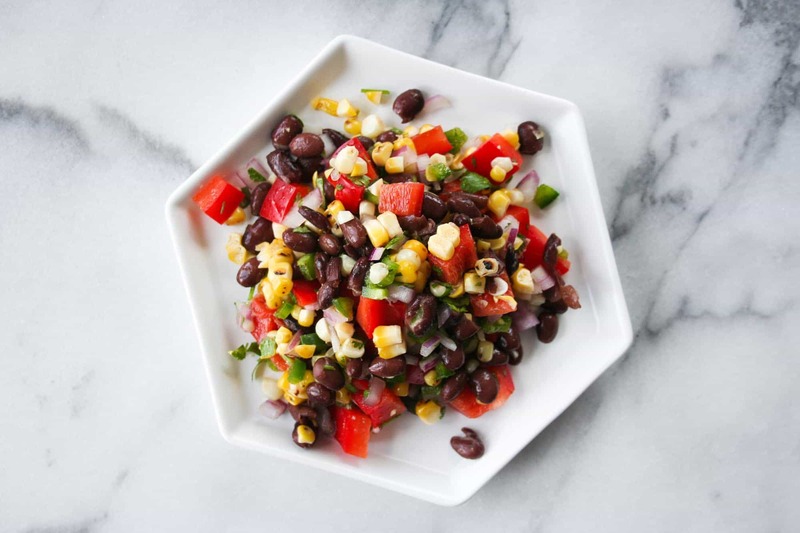 Charred corn gives this simple salsa a sweet and intensely smoky flavor. And it is loaded with colorful veggies – perfect for you next cookout. My mom is in town!! She’s agreed to go to a pilates class with me before heading to the Green City Market on Saturday morning. My sister Katie is coming into town Sunday morning and will be hanging in Chicago for part of the week! This will be her first time seeing our condo and we’ve lived there over a year… better late than never! And Sunday is the Pride parade! I know that’s a lot of exclamation points, but you guys… did you see all that is happening this weekend?! We were out of town last year, but came home to a balcony covered in glitter. So to say that I’m excited for the parade is most certainly an understatement. Of course, I am already thinking about what we will be eating during the parade. This makes sense because (1) I’m obsessed with food and love a good themed party and (2) we will barely be able to get out of our building on Sunday because they are expecting crowds of up to 1 million (yes 1 MILLION!) people along the parade route. We will undoubtedly be eating Mexican food. I could literally eat Mexican all day err-day. And this charred corn salsa will be on the menu! I’ve made this twice in the last week – once on Father’s Day where I served it as a salad. And again as a salsa for a summer solstice gathering with our neighbors. Plus it is perfect for Pride – just look, it has (almost) all the colors of the flag! Is anyone else in Chicago coming out for the Pride Parade this weekend? 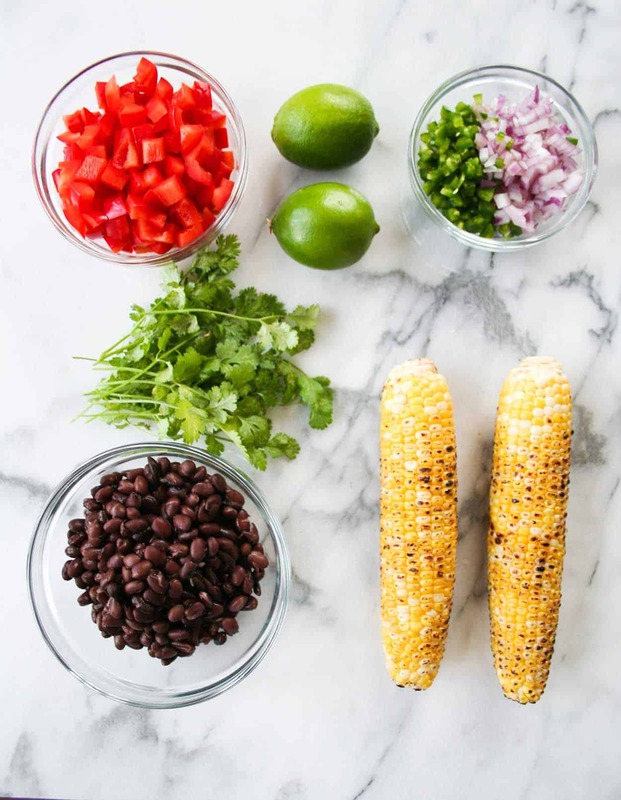 Get out your grill this weekend and make this Charred Corn Salsa – you will not regret it! Don’t forget to post a picture social media and use the hashtag #imhungrybynature for a chance to be featured! Char your ears of corn on the grill or over your gas stovetop. Once cool, cut corn off ear. 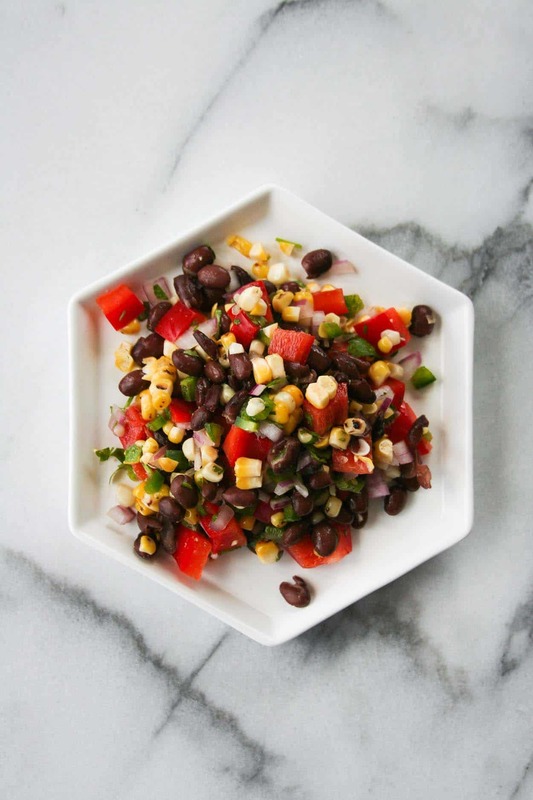 Combine corn, black beans, jalapeno, red onion, bell pepper, and cilantro in a bowl. Mix to combine. Add lime juice, salt, pepper, and cumin. Stir to combine. 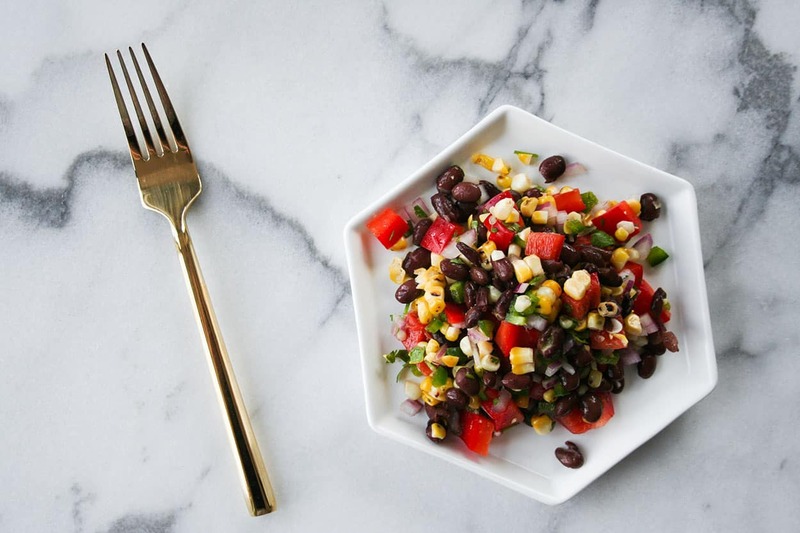 Eat as a salad or with your favorite tortilla chips! 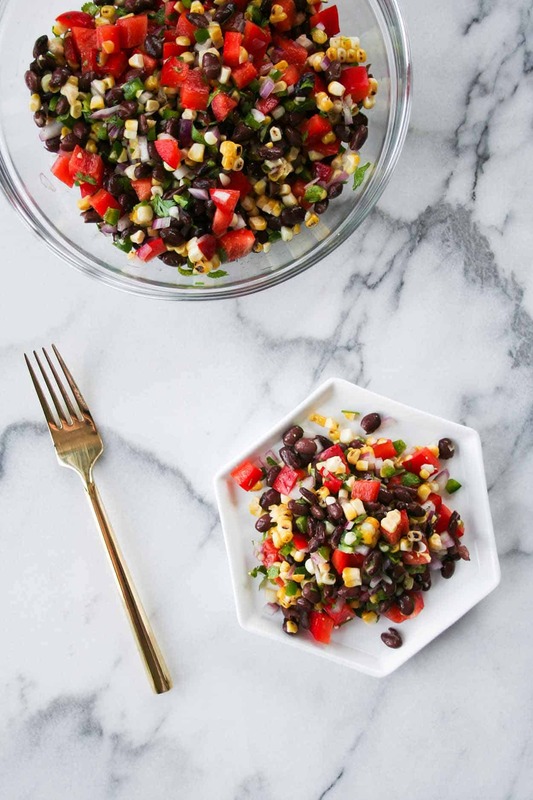 LOVE corn salsa! And charring it is a great idea! Such a beautiful and colorful dish, love this. Thanks Corrine! The charring gives the corn and the salsa such a great smoky flavor! Have fun with your family! Thanks Lynn – it should be fun!! Hooray for your Mom being in town! I love that she agreed to do a pilates class with you – my Mum would never do that, haha! Thanks Kristy! I had to ask her a few times and convince her that she could do it – it took a little effort but the class went well this morning! Late in commenting here but I hope your weekend turned out as fun as your plans sounded. Also, this looks amazing. Aside from the cilantro maybe ;). Honestly, using actual corn cobs rather than from a can and grilling is such a great idea. Thank you Miss Polkadot 🙂 it did! I know that cilantro is a pretty controversial herb – my mom thinks it tastes like soap, but I love it!! And definitely… fresh corn and a little char is all you need! What a fun weekend! That salsa looks delicious. I’m all about grilling corn these days. It makes any dish! Thanks Carly! And YES – the char makes everything better! Pingback: 10 BEST Super Bowl Recipes!